When I first began the journey of early learning with my children, I was a novice. There was a lot of trial and error – yes, I made mistakes and there are things I would do differently if I had another child. With my children grown up a little more, I have also affirmed what I would do all over again if I had to and it is what I would recommend to any new parent planning a child or caring for an infant. So what is that number one thing I would do if there was only one thing I could encourage my children with? That’s right – it’s reading and I would start as early as possible. I wanted to put this out there because I still see so many naysayers and “experts” warning parents not to start early because it somehow damages our children. Wait until they’re 7 years old, they say. Isn’t that what the Finnish do? And aren’t they ahead of everyone else in the world when it comes to education? Early Literacy – How Important is it? Why do some experts say babies can’t really learn to read? Some experts don’t understand the importance of early ‘word reading’. Baby/toddler readers likely go through a different set of steps for organizing the reading brain circuitry than six-year-old nonreaders who learn to read from formal instruction in school. Some experts don’t recognize that babies pick up reading easily from developmentally appropriate interactions with parents and they have special language capacities from birth to age three, just as they do with learning multiple languages, enabling them to do remarkable things with learning to read during this special window of opportunity for brain development. Most of the experts who are skeptical think real reading begins with phonics and they don’t recognize that given the right exposure, toddlers can intuit the rules of phonics over time just like they intuit the rules of grammar which are necessary to speak in sentences. There is an inverse relationship between reading and criminality. There is no such thing as a bad book for children. Science-fiction builds creativity and innovation. Declining literacy is a problem in the younger generation. We should all read to our children. More Benefits for Learning to Read Early. Even more reasons to start early. Successful children have a strong foundation in the 3 Rs – Reading, ‘Riting, and ‘Rithmetic and yet, we have a declining rate of functional literacy that is becoming an increasing concern. Early childhood educators have an answer – early exposure to reading. 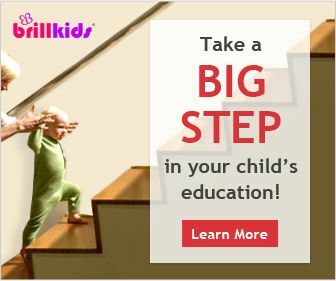 Programs like BrillKids Little Reader have made it a fun and easy way for parents to teach their babies to read. Read-Along Story Book Apps – these are great increasing your child’s reading time. The best way to encourage your child to read is to read a lot yourself. Your child will always do what you do not what you say. Also be sure to spend time reading to your child even when she is capable of reading on her own. Children love the bonding time they get with their parents. That will help them build a healthy relationship with books.